The anonymous letters arrived this weekend in plain white envelopes with second-class stamps, and were sent to people in at least five communities in England. Inside was a message so hateful that it has sent ripples of alarm across the country and prompted a national counterterrorism investigation. 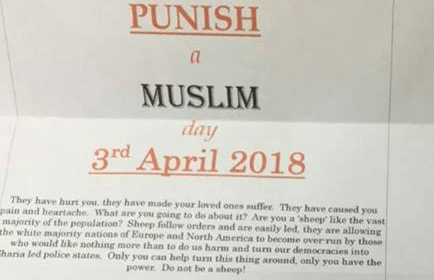 The message says that April 3 will be “Punish a Muslim Day,” and that points will be awarded for acts of violence: 25 points for pulling a woman’s head scarf, 500 points for murdering a Muslim and 1,000 for bombing a mosque. Riaz Ahmed, a Liberal Democrat councilor in Bradford, in West Yorkshire County, told The Mirror on Saturday that he had received one of the letters at his business address. People in Leicester, London, Cardiff and Sheffield have also reported receiving the notes, according to the authorities, a member of Parliament and an organization that monitors anti-Muslim activity. The Metropolitan Police of London and other officials have warned Britons to be vigilant, and counterterrorism officials are investigating. “I would appeal to the wider community to remain vigilant and report any suspicious activity to the police,” she said. The North East Counter Terrorism Unit said in a statement that it had received reports of “potentially malicious communications sent to individuals across the U.K.,” and asked victims to contact their local police. The significance of April 3, 2018, was not immediately clear. Some neo-Nazi groups use the number 18 to signify the letters of Hitler’s first and last names in the alphabet. At least some letters appeared to have been mailed out of Sheffield, the group said. 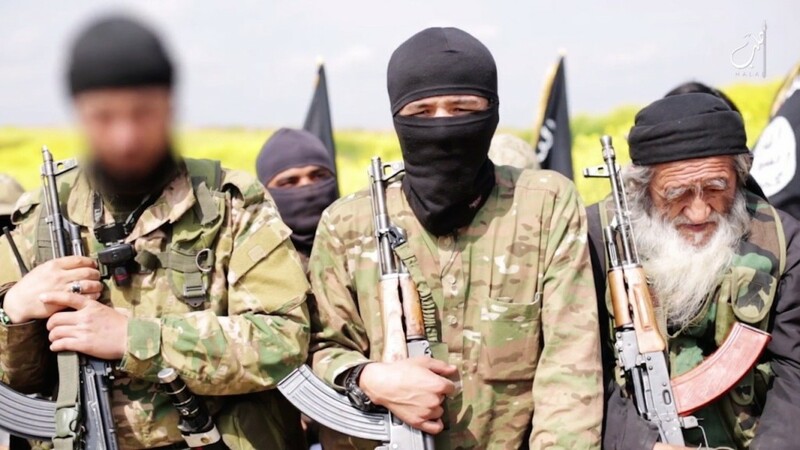 Ahmed told The Mirror that the letter sent to him “was not addressed to anyone, just the address and postcode as if it was sent out randomly.” The Yorkshire Post said at least three letters had landed in Bradford, a historic town in northern England. The letter appeared to lash out at Britain and countries elsewhere in Europe with migrant, minority and Muslim populations. The 2011 census said Muslims made up slightly more than 4.4 percent of the population in the United Kingdom – about 2.7 million people, compared with 1.55 million in 2001 – and most live in England and Wales. A 2016 perception survey by Ipsos Mori found that Britons overestimated the number of Muslims in the country. As the Muslim population has grown, the number of hate crimes in England and Wales has risen, according to Home Office statistics. There were 80,393 offenses in 2016-17, compared with 62,518 in 2015-16. That increase, at 29 percent, was the largest since the Home Office began recording figures in 2011-12. Last year, a British man was accused of ramming a van into a group of Muslims leaving a London mosque, killing a worshipper and injuring several others. The police said the suspect, Darren Osborne, 48, had received a Twitter message from Jayda Fransen, deputy leader of Britain First, a far-right group that gained notoriety after President Donald Trump recirculated unverified anti-Muslim videos it had posted online. Fransen was arrested in December along with Paul Golding, leader of Britain First, on hate crimes charges after they were accused of posting videos online of their harassment of Muslims in May. Both were convicted this month and sentenced to prison.